We had travelled a lot, been getting up early and doing a lot of walking so were both ready for a slower day. 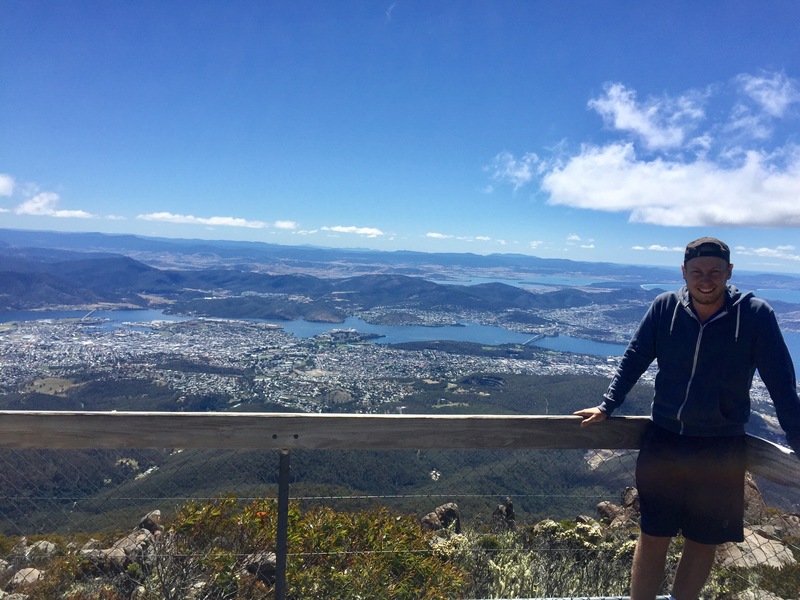 We decided to spend the day exploring Hobart as it is the biggest city in Tasmania. 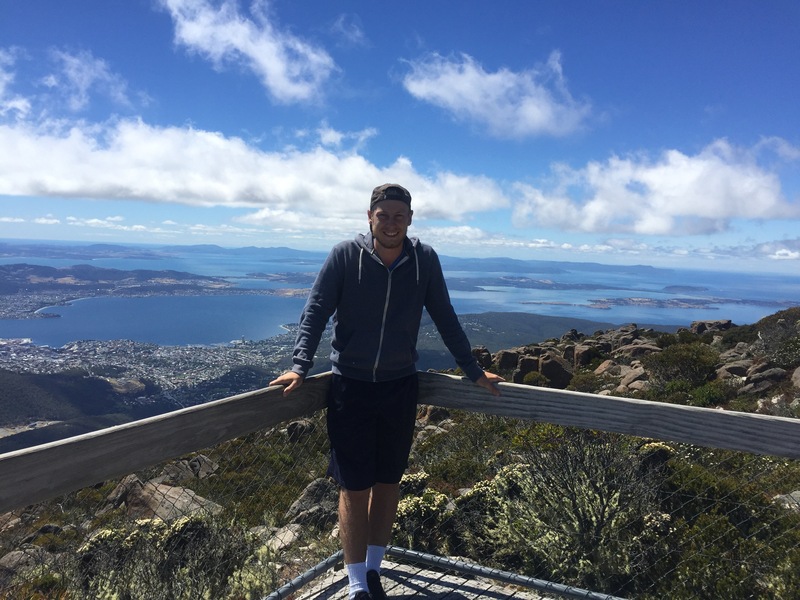 Our first stop was to Mount Wellington which was around a 25 minute drive from our hostel and reaches 1,270 metres above sea level. Thankfully, the weather forecast was spot on and we had clear skies – no point going to see a view if its cloudy! We had given ourselves a bit of a lie in but still got to the mountain before the afternoon crowds. 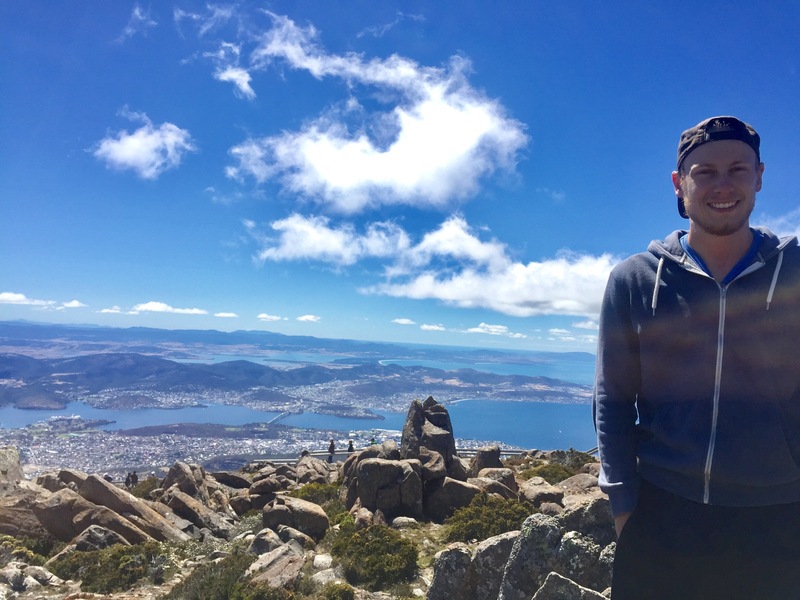 The temperature is 10 degrees cooler at the top and the ground is like a rocky marsh which reminded me a bit of the Scottish highlands – it really wasn’t very warm up there. We clambered over some rocks to stop in the middle of the complex which gave us a 360 view of the area so was a good place to start. 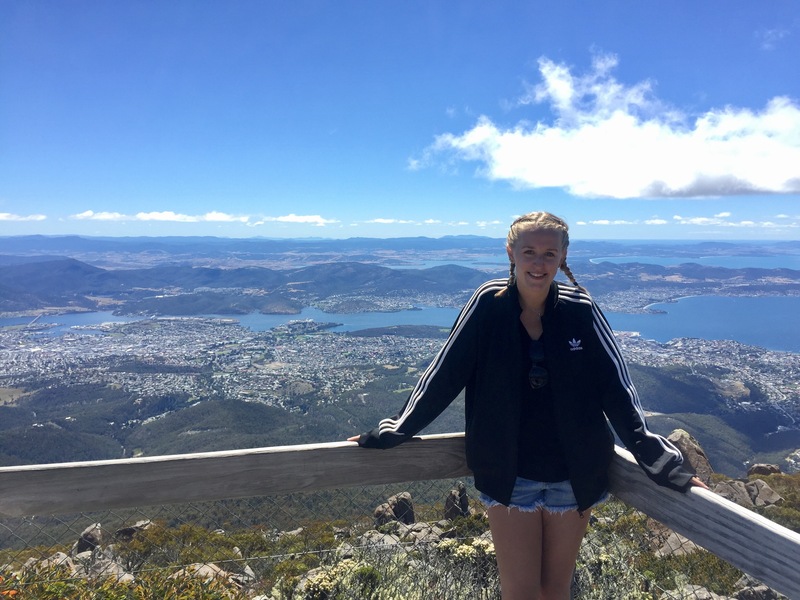 The views are stunning and show the city (which is much bigger than I thought) as well as the mountains and out to sea. There are also a range of look out points on all sides of the summit so as to make the most of the views available. A lot of tours don’t include this unless you pay for extra days which is a shame because the views are fantastic! We then headed to Battery Point which has a lot of houses that are from the original settlement at Hobart as well as a nice port by the sea. We aren’t sure if we saw any of the original buildings, you’d likely need a tour to see this and it is super hilly so we didn’t walk around the area loads. We did walk down to the little port and had lunch down there. There were loads of dogs there with their owners and some really nice yachts. Some of the houses overlooking the water were also really fancy and made the most of the sea view. We then headed to the Royal Tasmanian Botanical Gardens which are just next to the Tasman Bridge as you head out of Hobart. The gardens are massive and have some really pretty flowers in as well as a lovely Japanese Garden and views of the bridge and waterfront. We had an ice-cream (rainbow flavour which is vanilla, strawberry and bubblegum) and walked around the gardens in the sun for a bit but were quite worn out so didn’t venture as far as the gardens probably permitted. 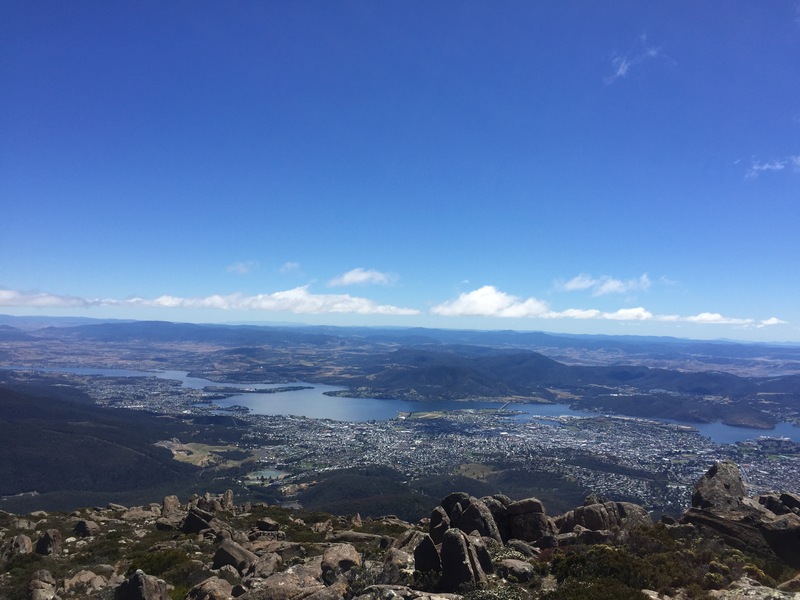 We had a bit of a walk around Hobart but there isn’t really much to see – it’s just a small city really – it’s nice but just normal shops and stuff so not anything in particular to see. For the rest of our evening we just chilled in the hostel. 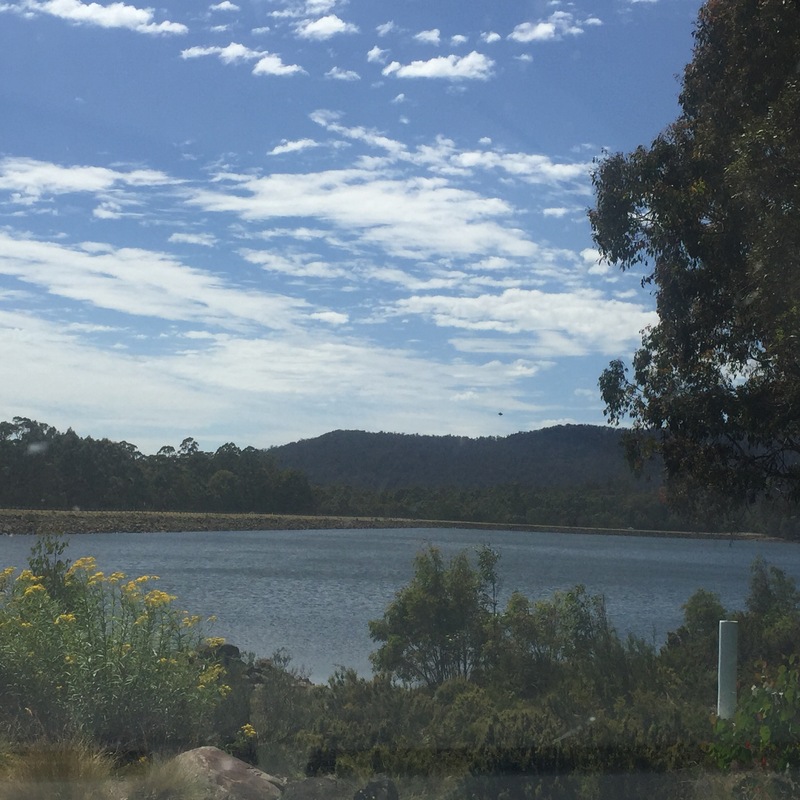 We were up early the next day for quite a lot of driving into western Tasmania so a more chilled, relaxed day was definitely in order! 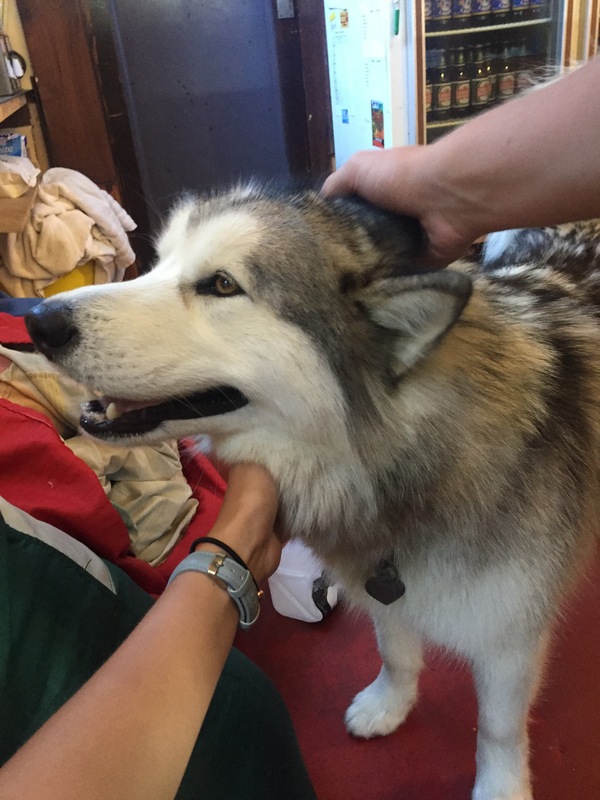 We had a nice start to the day by the hostel’s owner bringing in his dogs to the hostel – they are part of the advertising of the place but we didn’t think we’d end up getting to meet them. We had got up and out early as we had a lot of driving to do venturing into the west of Tasmania. 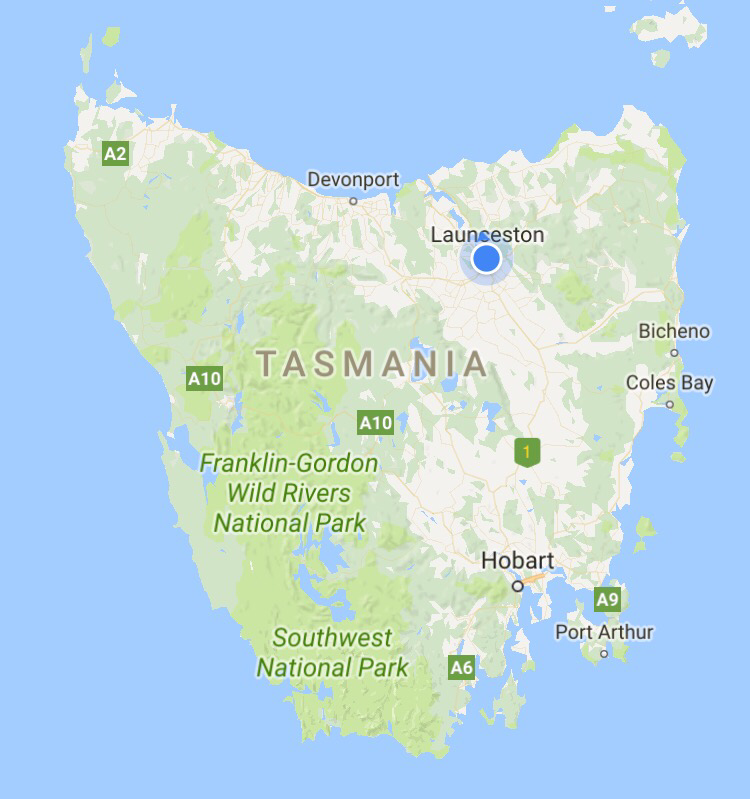 If you look at a map of Tasmania then you’ll see that the west is very green, full of a lot of national parks and not much else so this involves a lot of driving between the sights. Our first stop was Russell Falls (despite the last waterfall being disappointing we are still open minded about any new one that we hear about!) 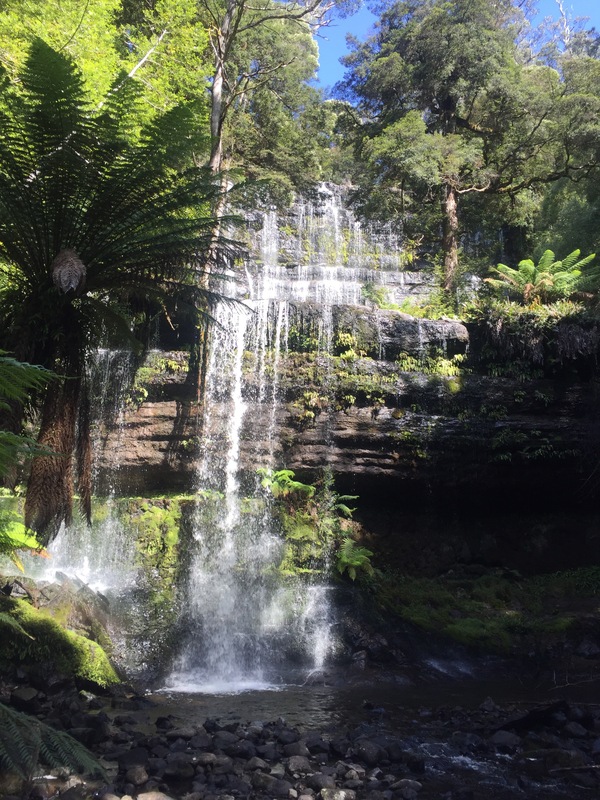 It was around a 25 minute round walk from the carpark to the waterfall and it was a lovely waterfall to see. It wasn’t a crashing spectacle of tonnes of water like the McKenzie Falls was but it was quite tall and had two tiers of falls. I don’t think we had expected much or that it would be so big and it exceeded our expectations and I’m glad we made the trip to see it. Something to note about Tasmania is that the national parks require you to buy a pass to explore them. 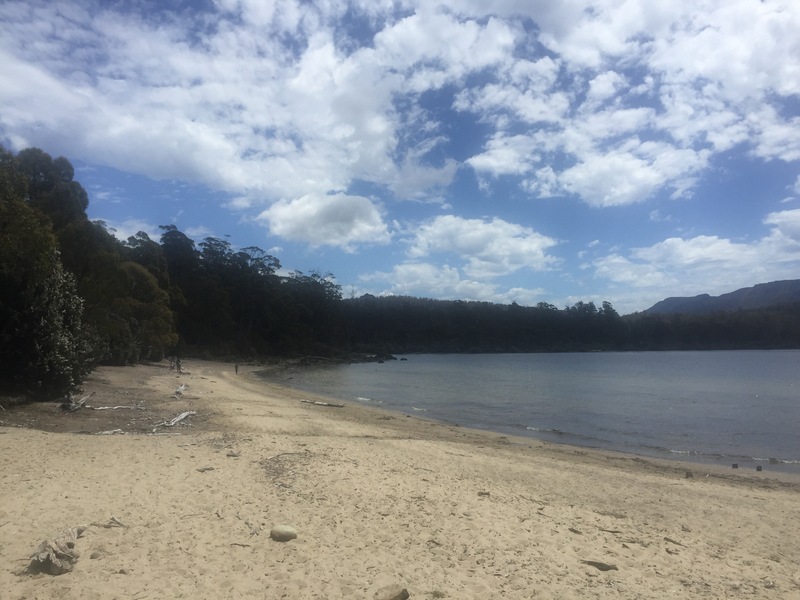 The best option is a 2 month pass for $60 because this gets you into all the parks in Tasmania and, unless you only go to one place, you’re likely to enter at least 3 or 4 different national parks. 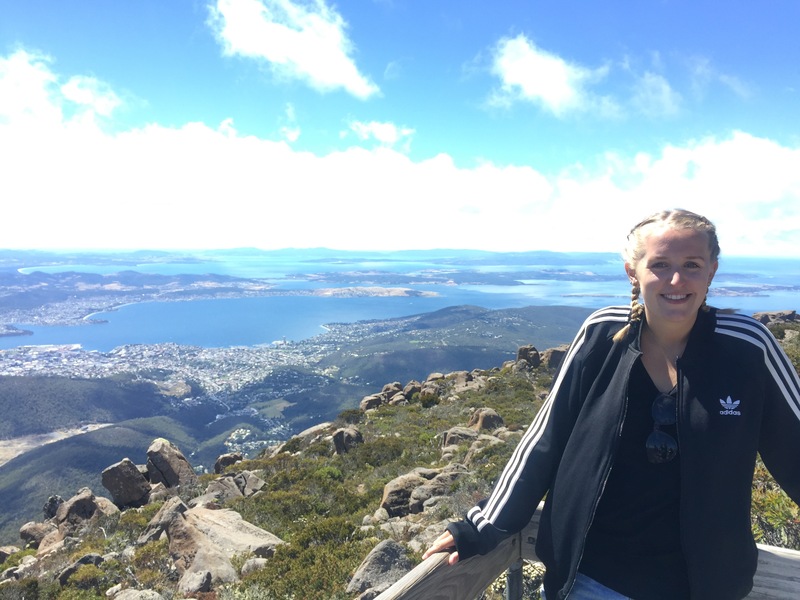 We hadn’t known this and got a single pass when we were at Freycinet National Park but, luckily, one of the visitor centres of a park upgraded our pass and we just paid the extra. After a stop off at lake caked Binnery Lake for lunch, we carried on travelling west which involved going through a lot of forest and passed a lot of lakes but no civilisation – pretty scenery doesn’t hurt when you have a long drive to do! On our way we also stopped off at a lagoon called Bronte lagoon, really because of having the same name as the Bronte sisters. It was another lovely big lake and there were some people fishing. 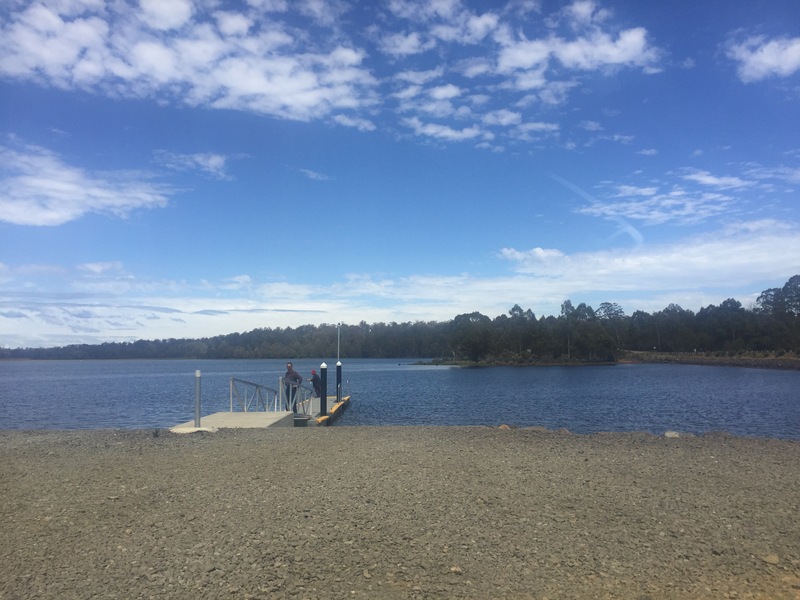 One thing we can’t work out is what gives a lake a visitor centre and makes it something for tourists to see and what just makes it a lake for the locals – the lakes often look pretty similar! 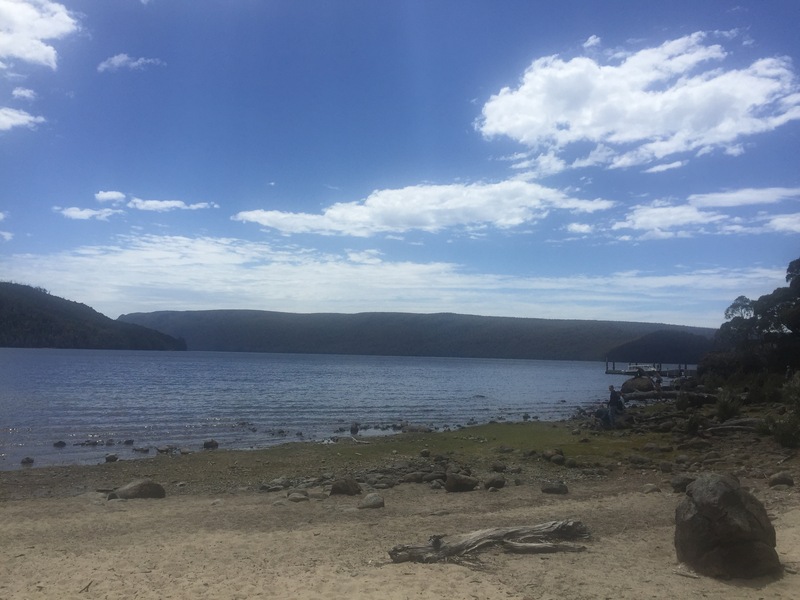 Our next stop was at the beginning of the Cradle Mountain – Lake Saint Clair National Park (the national park is enormous and is split into the two parks). 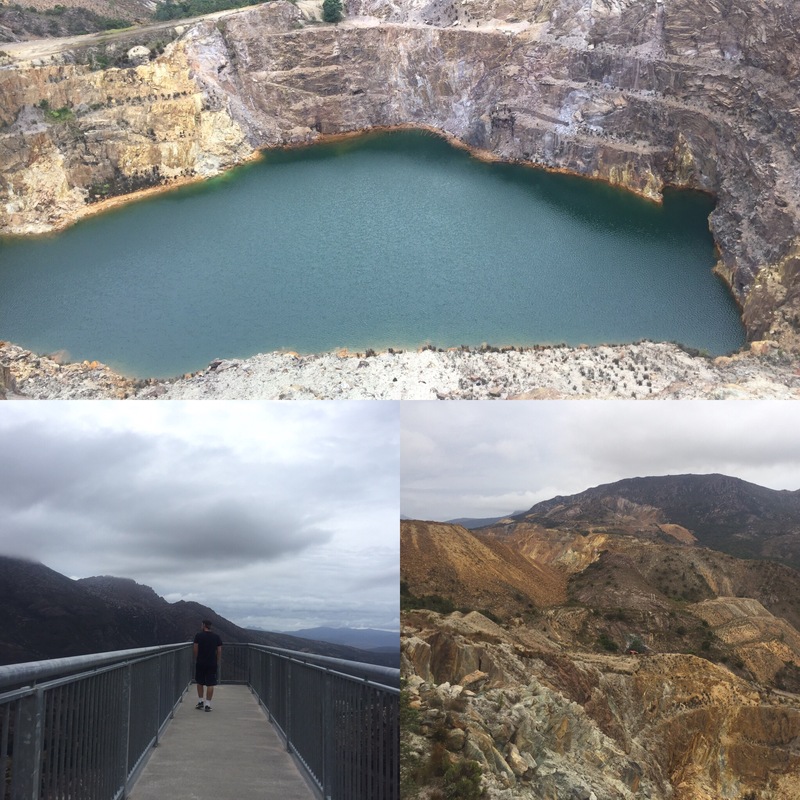 We were visiting Lake Saint Clair and did some bushwalks around the area. From the visitors centre you can see the lake (not all of it as it’s huge) but it does give you a good view. We then walked to Watersmeet which was where two small rivers met to enter the lake. We had lunch here and this was also where a lot of the different walks started. Platypus Bay was next along our chosen bushwalk and there were lookout points to try and give you the best chance to see a platypus. They are notoriously hard to spot so we weren’t surprised when we didn’t have any luck seeing one. There was also a wreck of a barge here from the 1930s from a time when work used to be done in the national park. We then carried along the path to do an aboriginal walk but, aside from a couple of signs along the way, there wasn’t much about the aboriginals on the walk. We saw an echidna eating some ants and there were a lot of fallen trees along the walk which showed how strong the wind could get out there. Apparently the area used to be home to a large tribe of aboriginals but after the wars with the ‘new settlers’ any remaining ones got shipped off to Flinders Island (located near Tasmania) and never returned to these areas again which is sad. We find it really interesting that the aboriginals knew to burn the forest to prevent large forest fires and promote new growth in areas – something Australians are still doing today. The drive to Strahan where we would be staying that night was a very winding mountainous route and we were both very tired by the time we reached the hostel. On the way we passed a lookout called the Iron Blow which was linked to the volcanoes that used to be active in the area and had then been used for mining metals such as copper. It was a nice stop off to break up the journey along the Great West Road to Strahan. Then hostel in Strahan was a YHA and was more of a campsite than a hostel made up of a collection of cabins. It was actually quite cold here at night and I got bitten by bugs loads when we were out in the evening. The hostel had a stream running through it which has platypus’ in it! They only really come out at twilight/ night time and have evolved to blend in with the river bed so are really hard to spot. We think we saw them – just a faint outline swimming through the water but we couldn’t have seen them any clearer considering how dark it was. All in all another good few days as we neared the end of our time in Tasmania.